Operating in a highly competitive sector, recruitment professionals are increasingly working away from the office environment and outside of traditional business hours. 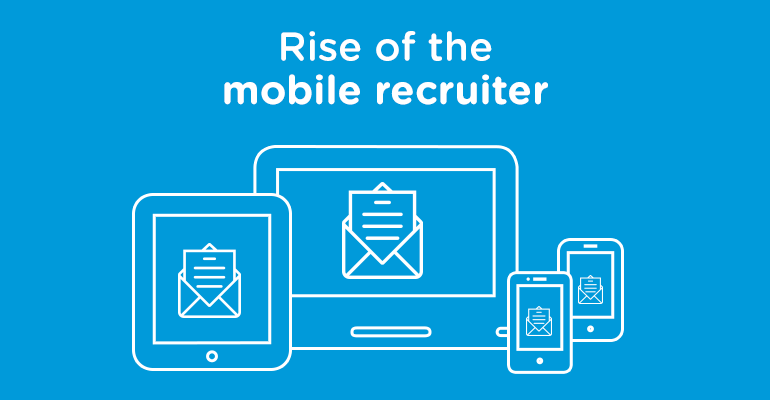 Over the last 12 months we have seen the demand for mobile recruitment software increase dramatically. With consultants working remotely, internationally and between offices, forward thinking agencies are now embracing the mobile recruiter movement. Truly mobile recruitment software optimised for smart phones and tablet devices provides flexibility and speed to users, two major influencing factors when dealing with clients and candidates. Allowing consultants to set up interviews, search for candidates, update information and email CVs on the move could be the difference between missing and sealing a deal. Are you missing out on placements and candidates or is your recruitment software fully mobile? HRS is mobile and tablet friendly, and is available as a cloud-based or server-based solution for optimum flexibility. For details on our mobile and tablet offering check out the mobile recruitment software page. Interested in how a mobile optimised recruitment database can help increase placements and ultimately profit? Request a call back from one of our recruitment technology specialists or book in a 30-minute demo to see first hand how HRS can take your business to the next level. For the latest recruitment news, tips and advice connect with HRS on Twitter, Facebook, LinkedIn and Google+. Friend, follow and connect, lets talk recruitment!